Fiddler is a great tool for analyzing web traffic. it can be used to monitor, review and profile web sites as well as web services. The current realease version is great, but the version 2 Alpha is even better, since it allows interseption of HTTPS traffic. I've used fiddler to profile our development and production website. 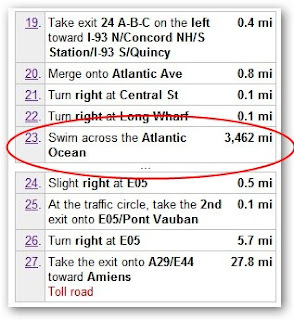 It is also a great tool to monitor webserivce traffic. It will be able to show full incoming and outgoing message payloads. 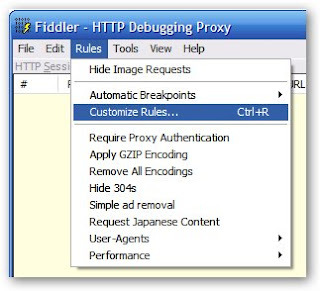 However, when debugging against localhost, Fiddler will not be able to intercept the traffic. There is a simple change that is required to be able to debug against localhost. Full description is at http://www.fiddlertool.com/Fiddler/help/hookup.asp - Section "Why don't I see IE7 or System.NET traffic sent to http://localhost or http://127.0.0.1?" That's all. Worked like a charm. Here's an easy tip to keep your computer's time up to date. Right Click on the clock in your task bar and select "Adjust Date/Time"
Possible support for WWF (Windows Workflow). This is 2nd priority, but that means it might be released in the future updates, if not in the April update.